1 Bdrm 1st flr Flat. Hall. Lounge. Breakfast kitch. Bdrm. Bathrm (CT band - A). Garden. Parking. Price £95,000 Entry by arr. Viewing contact solicitors. Below Home Report Valuation (EPC band - F). Enjoying a pleasant location within easy distance of the City Centre, we are pleased to offer for sale this attractive ONE BEDROOM FIRST FLOOR APARTMENT located in a traditional granite property, with high ceilings and large double glazed windows, contributing to a feeling of space usually absent in modern properties. Desirable aspects include the generously proportioned light and airy Lounge, which overlooks the front of the property. 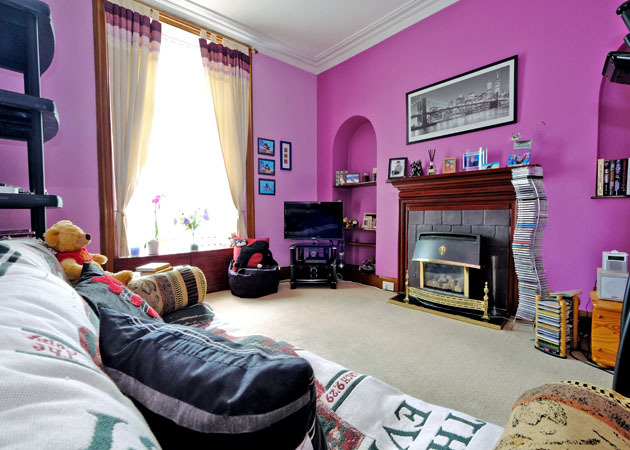 The focal point of this room is the attractive fireplace with slate frontage and Gas fire. Ornamental ceiling cornicing; decorated ceiling rose and natural wood skirtings complement this room. 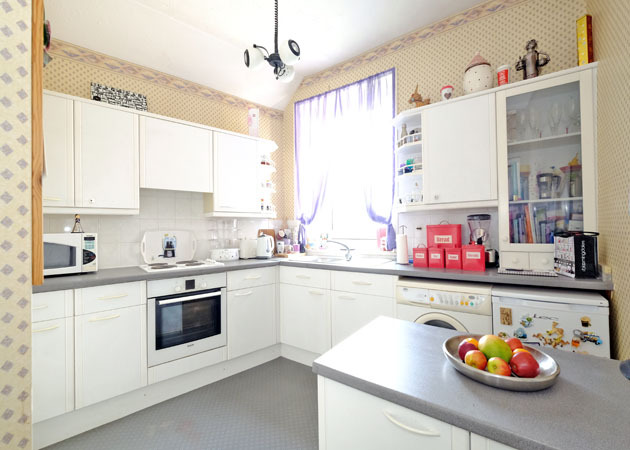 Dining Kitchen, handsome Double Bedroom, Bathroom and ample storage facilities complete the property. Communal drying green to the rear. Recently renewed security entry system. All carpets and other floor coverings, curtains, blinds and light fitments are to be included. Bon Accord Street is situated in the popular Ferryhill area which is well served by local shops and by public transport facilities. The location is extremely convenient for the nearby REPSOL/SINOPEC (formerly Talisman) building and also the nearby Enquest offices at Union Square and a wide range of pubs, clubs, restaurants and leisure facilities in the West End of the City are all within relatively easy walking distance as is the Duthie Park with its many attractions including the Winter Garden. DIRECTIONS From Union Street exit onto Bon Accord Street and proceed through the traffic lights at the intersection with Springbank Terrace. Number 108 is ahead on the right hand side. ENTRANCE HALLWAY: Solid entry door with double lock. Hall provides access to all rooms. Security handset. Overhead smoke detector. Large storage cupboard with electric and gas meters. LOUNGE: 15’2” x 11’ approx. Spacious Lounge. 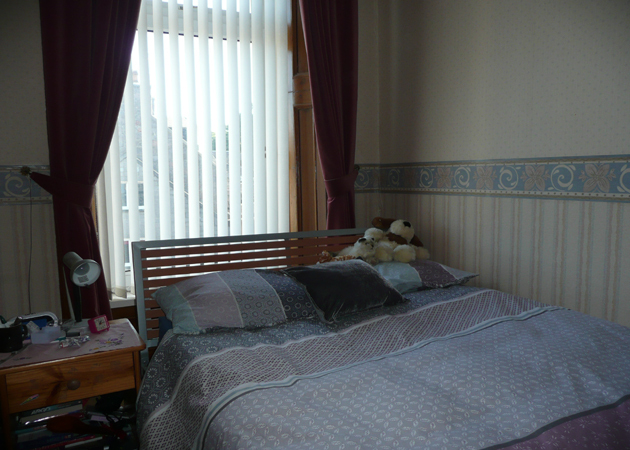 Particularly bright room with large window overlooking the front of the property. Two shelved, arched alcoves. Handsome fireplace of slate and wood enclosing a gas fire. TV point. Telephone point. Storage cupboard under window seat. Vertical window blinds and curtain rail. KITCHEN: 10’8” x 10’7” approx. The Kitchen has been fitted with a range of white wooden base and wall units with co-ordinating work surfaces along with a central island also acting as a Breakfast Bar. Integrated appliances such as the Electric Oven, Hob, Washing Machine and Fridge/Freezer are to be included within the sale price. Linoleum flooring. Telephone point. DOUBLE BEDROOM: 12’7” x 8’3” approx. Well proportioned, light and airy. 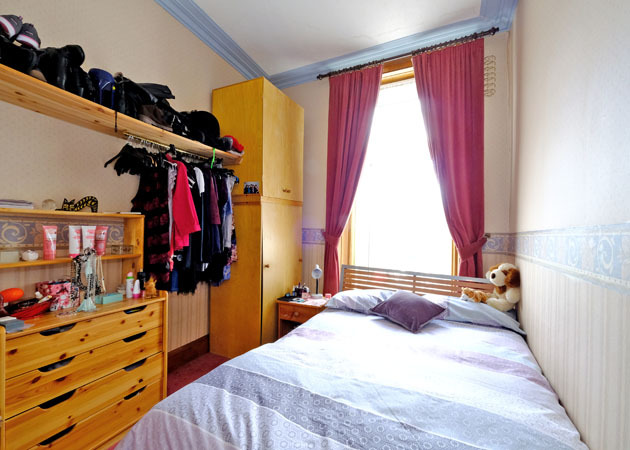 2 wardrobes and storage shelf, which may be left by agreement. 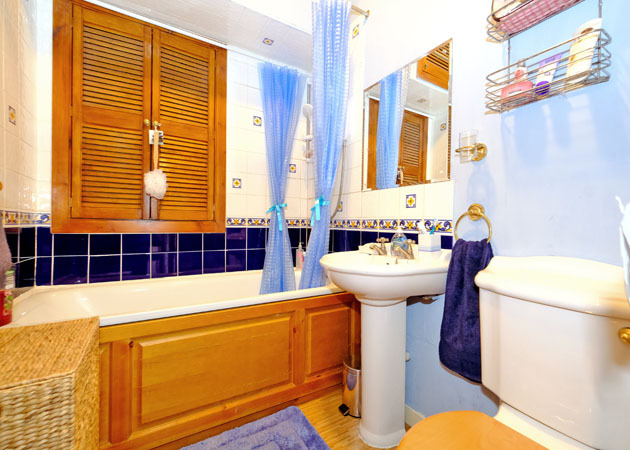 BATHROOM: The Bathroom has been fitted with a white suite comprising a w.c., wash hand basin and electric shower over the bath. Storage cupboard housing water tank with further storage above. Linoleum flooring. Pine lined ceiling, matching latticed cupboard doors and bath surround. Extractor fan. 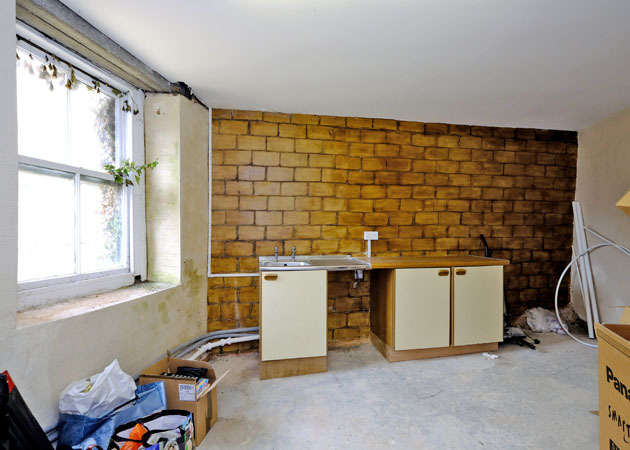 STORAGE: The property benefits from a private coal shed storage in the basement of the communal hallway along with a spacious communal storage room lockable with window and overhead light. COMMUNAL DRYING GREEN: To the rear of the property there is a fully enclosed communal drying green. 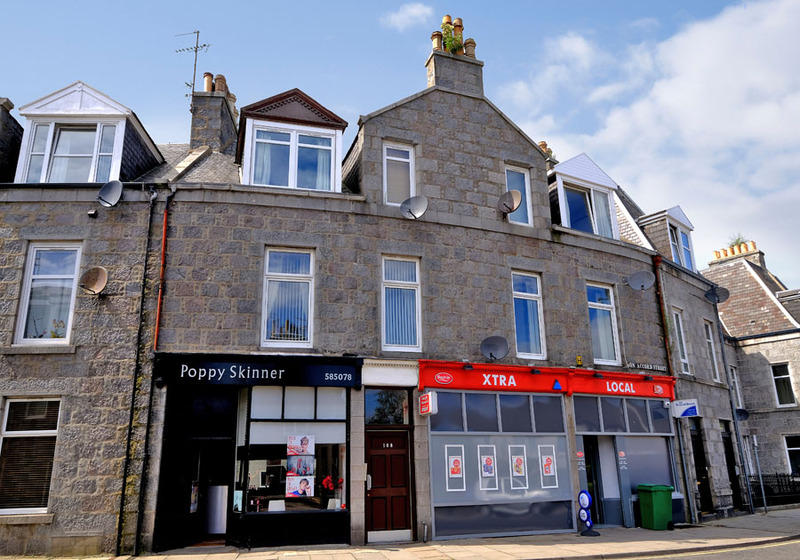 PARKING: On street parking is available by way of a Permit, which can be obtained from Aberdeen City Council, for which an annual charge is payable. Interested parties should contact Aberdeen City Council. Roadside Surveillance / Security Cameras. FEATURES: Highly desirable area, close to city centre. Electric Storage Heating with gas fire heater in lounge. Access to mains gas line. Railway and Bus Stations a short, walking distance, away. Duthie Park, popular for exercising and jogging, within walking distance. All carpets and other floor coverings, curtains, blinds and light fitments are to be included.